The time is right to focus on activities that bring people together to share something positive across generations. 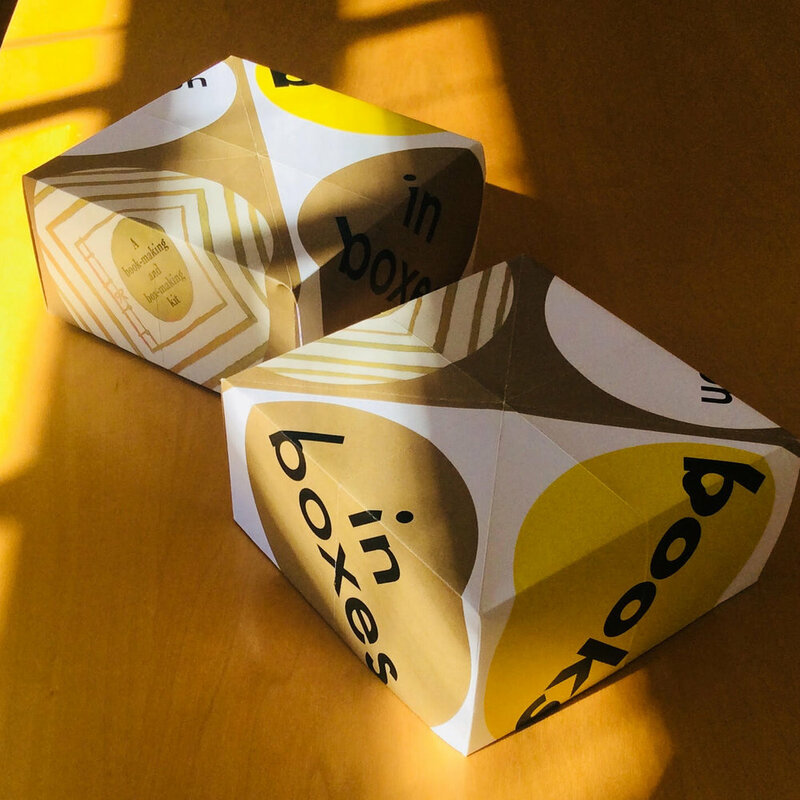 In my quest to connect people with art, reading, and storytelling I have designed a series of four book-making kits, called Tablespoon Books in Boxes. The concept is unique and intergenerational. Tablespoon Books are aptly named since they are small in size. The small size means it is not a long, endless project. The books and boxes can be made in about an hour, which is ideal for a party activity or simply for something fun to do at any time for all ages. Each edition in the series has an original theme for the books being made and a different book binding technique. 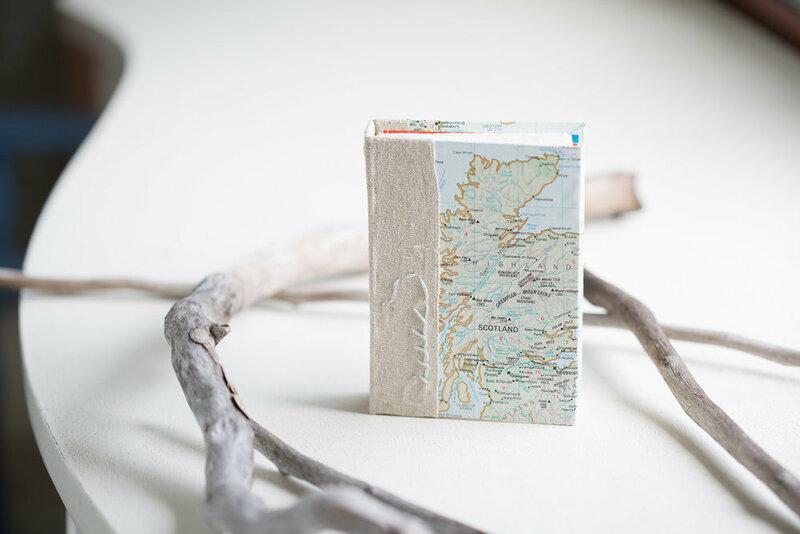 Each edition always has origami boxes to make so the whole project makes a one-of-a-kind 100% handmade gift. The very first edition of Tablespoon Books in Boxes is now available! Each kit includes everything needed to make 2+ books and 4 nesting origami boxes. The next kit in the series, Edition 2, will be available July 31. Tablespoon Books engage people of all ages—people who like to make things and laugh while making things. This is the audience for these conversation-starting, interactive, short and sweet books. Let the book-making and box-making begin and give the gift of reading! 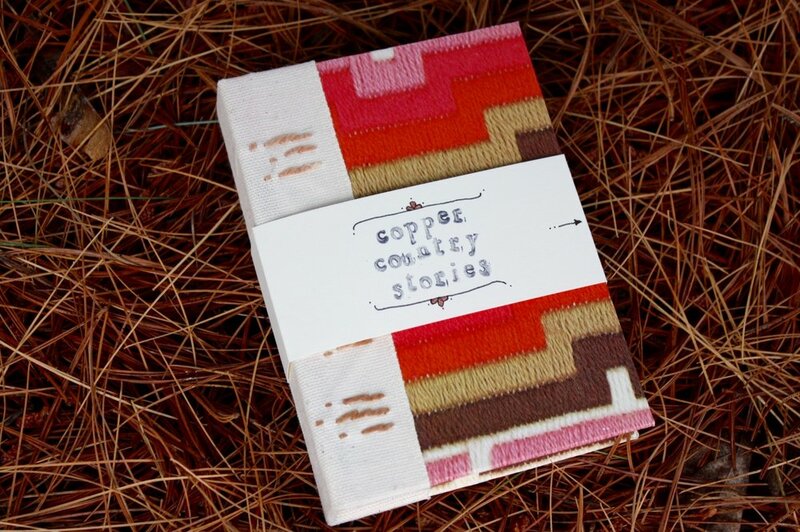 Copper Country Stories was created to spark memories and conversation. Take time with this little book and re-live favorite adventures along the shores of Lake Superior—or if you have never been to the Copper Country use it as your guide book! With its watercolor illustrations, upcycled covers, hand embroidery, and unique traditions of the Keweenaw Peninsula, it is a book that is meant to be shared and treasured. Share the Keweenaw with Copper Country Stories!